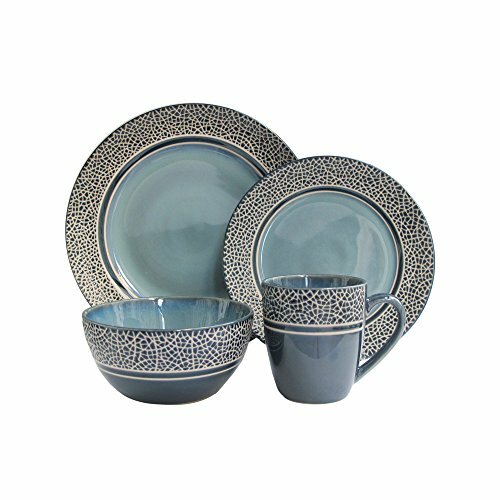 TO Decorate Your Dish Easily, Leading NEW Style of Tidy Kitchen Life . 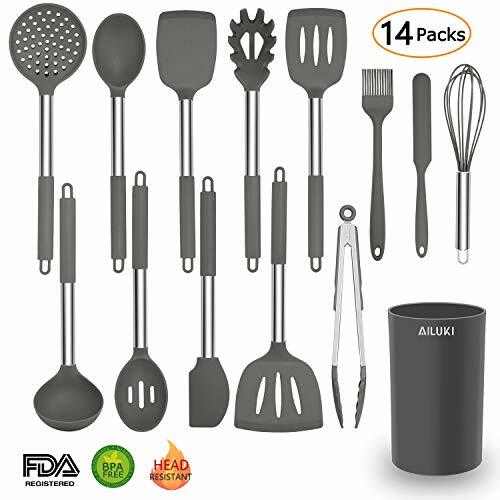 Ailuki Silicone Cooking Utensil offers a wide and varied selection of kitchen accessories at competitive prices designed for any home. ·Unlike metal spatulas, our silicone spatulas won’t damage your cookware due to its smooth edges. ·Unlike plastic kitchen utensils, our silicone spatula head won’t even become nicked or warped due to the sturdy construction. What Makes Ailuki Silicone Kitchen Tools Different? Strong Joint make it no easy to fall off after long time use. The silicone heads can withstand high temperatures ranging from -40℉/-40℃ to 446℉/230℃ .FDA approved. BPA free. Additionally, each of these utensils has a hanging holes for convenient suspension. Every detail is carefully designed. FDA Food Grade Silicone no pollutants even at high temperatures or melts like plastic, no unpleasant plastic smell. They do not discolor, warp, melt or splinter like your typical nylon or wooden spatula. The ergonomic handle allows you to enjoy cooking for longer without tiring. 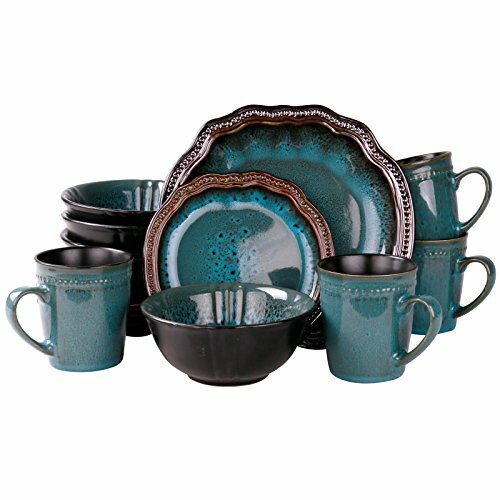 the kitchenware have perfectly shaped heads for efficient and precise performance. Non-stick and stain-resistance attributes are made for hassle-free to clean it up. 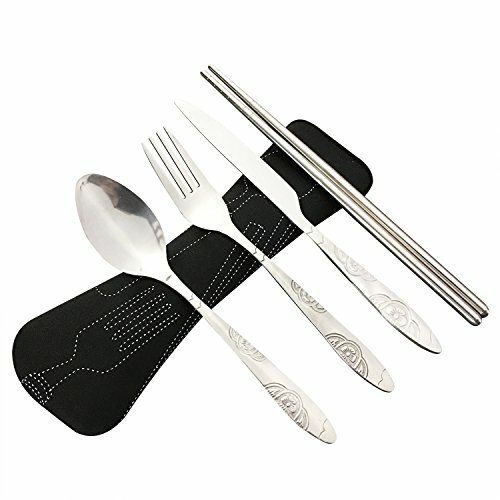 This cooking utensils are made of a combination of different materials: 304 stainless steel stick(Metallic material, Prevent Rod Deformation) and the premium silicone(Food Grade Silicone, High temperature resistant). No rust. No breaking or bending. No melting. 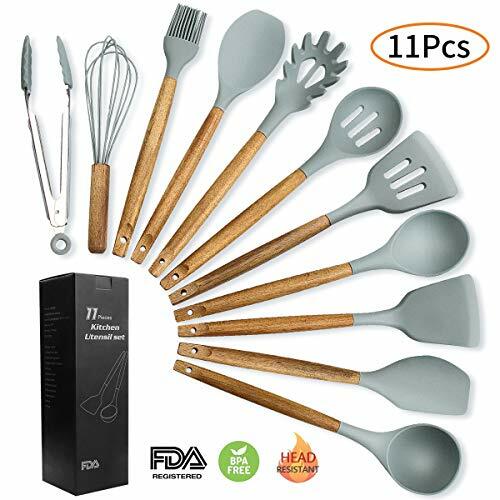 Food Grade Material : Silicone Spatula Set are 100% food FDA Grade ,The Kitchen Utensils are non-toxic, harmless, healthy, non-stick, environmentally friendly, without any odor, and easy to clean.There’s no head to pop off these spatulas and no seams for bacteria to grow, which means healthier cooking and less clean up required. 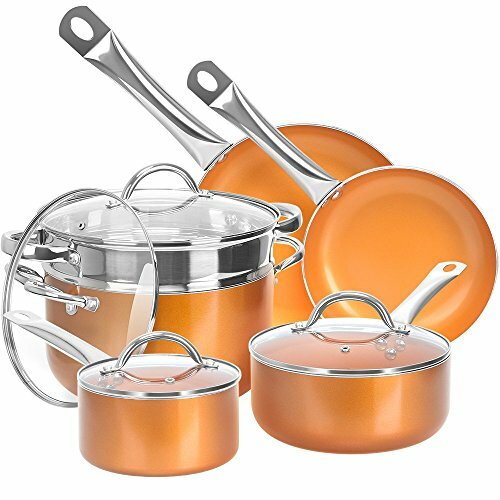 Premium Quality : Kitchen Utensil Set is resistant to 446℉-482℉ heat so you can mix and stir directly into their pans. .Soft silicone won’t scratch your expensive non-stick cookware,pots and pans.They’re the great tools to extend the life of all your kitchen pans. Durable and Sturdy: Kitchen Utensils handles designed using top-grade stainless steel and utensil heads made out of durable silicone ensures daily use for a long time without being worn down. Designed not to bend, break or rust . 100% Satisfaction Warranty: If you are not completely satisfied with the Item after you received. We offer a no hassle, no questions asked money back guarantee. We are committed to providing each customer with the highest standard of customer service.